Fierce prints are in this season as it fired up the Shang’s latest fashion fete. Hailing 2014 as the year of prints, Style bibles featured eye-popping visuals in all patterns and shapes imaginable ruling the runways the world over. 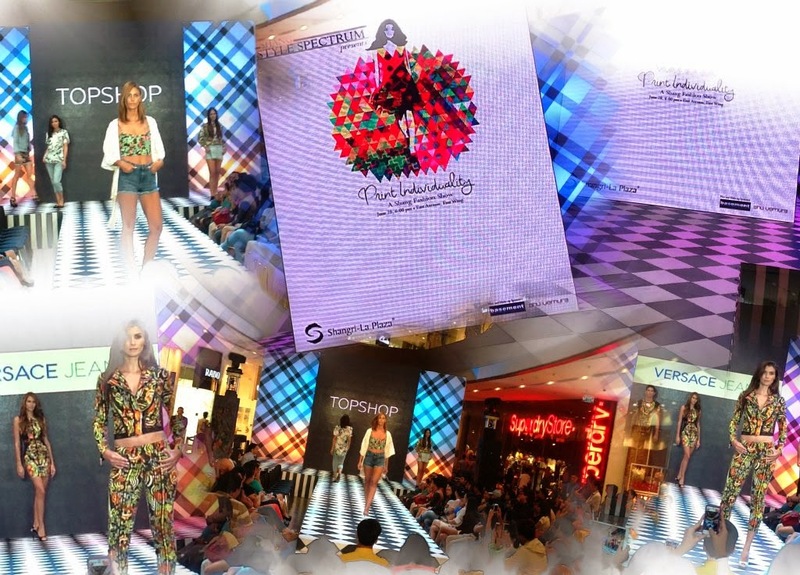 Dubbed as Shang Style Spectrum: Print Individuality, top lifestyle destination Shangri-La Plaza proved on-trend with the craze as it met the midyear with a fashion show at the mall’s East Atrium. Print Individuality showed how a passion for prints can amp up anyone’s personal style. The top local and global fashion brands housed in the Shang featured the latest printed pieces. The presentation showcased a parade of the season’s most unique and fashion-forward prints inspired by the collections of fashion’s foremost style stewards. From retro florals to full-on geometrics, chessboard checks, tribal motifs, and even arthouse print and graffiti for the more daring, Shang’s print fashion spectacle enthralled every fashion follower and devotee present. Shang's Print Individuality from Shutter Count on Vimeo. Watch the Youtube video here as audiences came garbed in their own takes on the prints trend and witnessed models sashay on the catwalk donned in the following participating brands: Aeropostale, Anne Klein, Arrow, Banana Republic, BCBG Max Azria, Bebe, Ben Sherman, British India, Celine, Crossings Department Store, Debenhams, Desigual, DKNY, Gant, GAP, K & Company, Mango, Marks & Spencer, Mico Boutique, Nautica, Onitsuka Tiger, Original Penguin, Paul & Shark, Perry Ellis, Porsche Design, Rustan’s Department Store, Springfield, Superdry, Topman, Topshop, Versace Jeans and Warehouse. The hottest fashion trends, sartorial inspirations, and endless style pleasures await, season after season, at the Shang. For inquiries, call 370-2597 or visit www.facebook.com/shangrilaplazaofficialfanpage. Follow Shang on Instagram: @shangrilaplazaofficial. Don't forget to join my 1 Million Pageviews Giveaway here. You can also win a spampering treatment at Thai Royale Spa here or you can visit my page here to win a huge box of beauty loot!